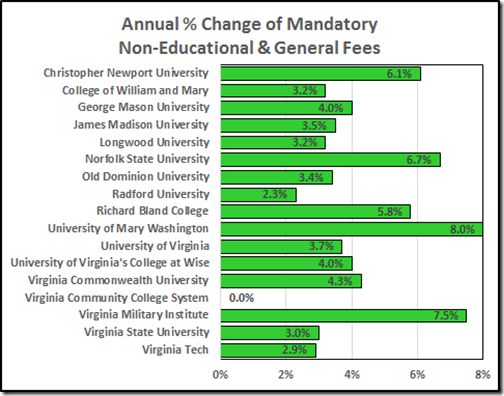 The annual CPI increase from 2014 to 2015 was 0.12%; the mid-year increase from 2015 to 2016 was 1.07%; extrapolated from the first six months of this year, it will be 1.68% in 2016. 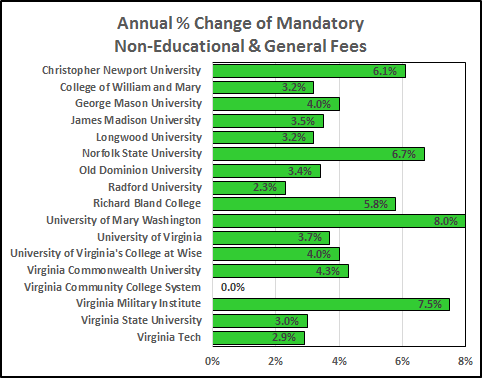 The average increase in mandatory non-educational and general fees at our state colleges and universities for the upcoming year is 4.2%, ranging from zero in the Community College System to 8% at Mary Washington. Details are in the SCHEV report here.